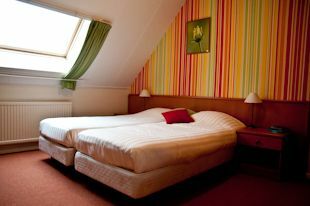 The hotel features 16 double rooms and 1 single room. * Hairdryer and iron are available for each room at the reception. The budget rooms are located on the 2nd floor and have a sloping roof. 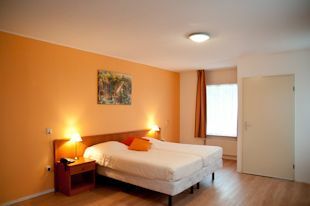 Standard Rooms and Standard Plus Rooms are located on the 1st floor. The Standard Plus Rooms are more spacious and feature a mini-fridge and safe. 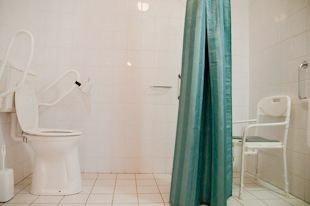 One Standard Plus Room is fully wheelchair accessible and is located next to the hotel. Check-in is possible starting at 14:00. We ask you to please check-out before 11:00. On Sundays, you can book an extra lazy Sunday package. You may then use the room until 17:00. 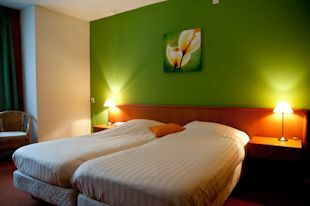 Supplement € 12.50 per room. Our reception is open until 23:00 in the evening. Later check-ins are possible, please inquire with us by phone in advance. In the morning, the breakfast buffet offers you a wide range of delicacies. From Tuesday to Friday from 07:00 to 10:00 and on Saturday to Monday from 08:00 to 10:30. Should you want to leave sooner, then we will provide of a breakfast package. The breakfast buffet costs € 8.00 pp. You can also order a lunch package (€ 8,00 pp.). We kindly request that you request the breakfast and/or packed lunch the day prior before 19:00. 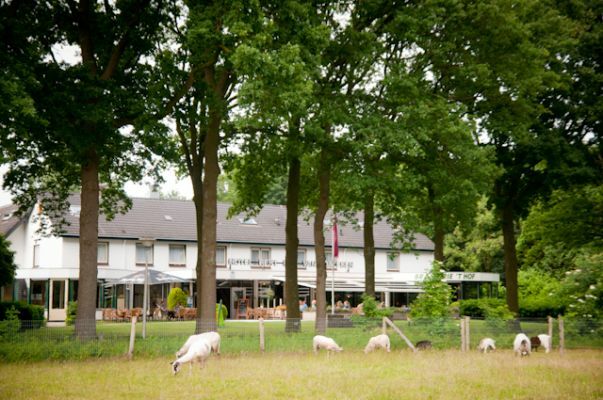 Family Roepel and staff Hof van Dalfsen will be pleased to welcome you! 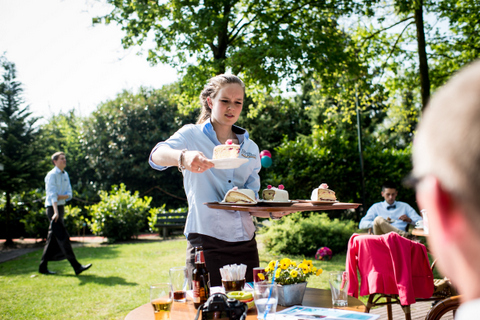 In the front of the Brasserie we serve delicious lunches. 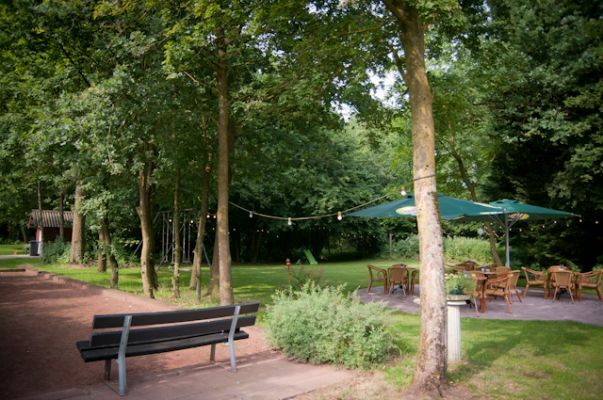 In the back, the cosy conservatory restaurant allows you to dine in a casual atmosphere. Our kitchen is open daily from 12:00 to 21:00 (Monday from 14:00). During the winter months, these times may differ. You are also very welcome in the Front Room, if it has not been reserved for a private party. Our terrace has a beautiful view of a natural farm. In less beautiful weather, it is covered and heated. In the large garden behind the hotel, there are several seating areas during the summer where you can relax wonderfully. Do you prefer being active? 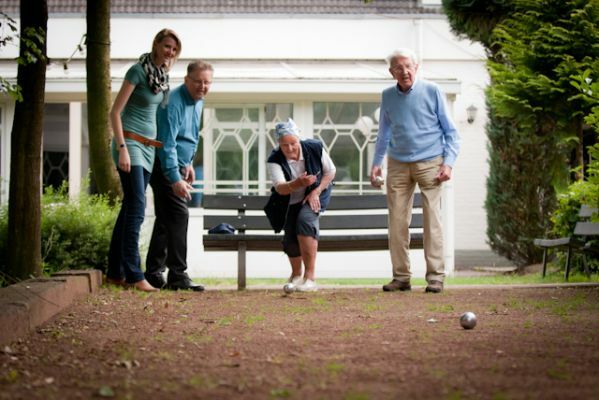 Then play a game on our petanque track or go for a walk in the adjacent forest. We have 1 room where pets are allowed. 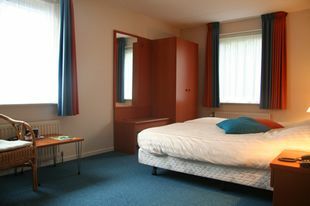 This is a Standard Plus room, located on the ground floor. In the restaurant, dogs are only allowed in the front of the restaurant.